If it seems like Korg is milking the microKORG line, they’ve got good reason: it’s perhaps the greatest keyboard success story of the last decade, somehow perfectly tapping into desire for an affordable synth well beyond the usual customer base. But for anyone hoping for a vastly new product announcement today, that’s not what this is. Updated: Nope, this is the news, so given the online teasing on Korg’s part and the Internet anticipation, I think well worth working out what was actually announced. 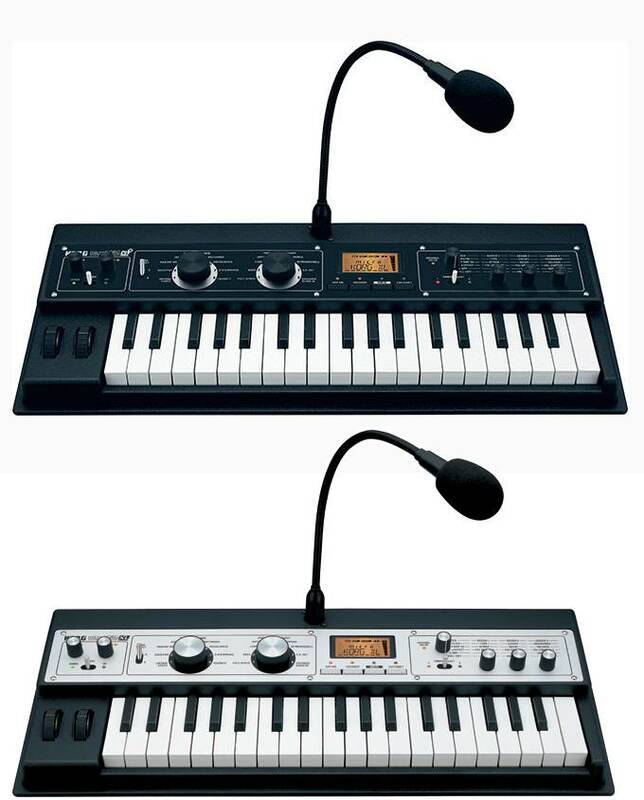 The microKORG XL+ is, in terms of specifications, basically the same keyboard you might have bought when the first model came out in 2008. It’s still got a vocoder and a gooseneck mic, runs on six AA batteries if you so choose, has Korg’s mini keybed, and is powered by the MMT analog modeling engine found in some of Korg’s other synths. Apart from aesthetic differences, the main change is the addition of new sounds: the KORG SGproX piano, the M1 and the VOX organs. It’s easiest to see the difference when you put an XL next to an XL+, below. Basically, you get a different front panel, and the bit you can’t see is these new vintage keyboard sounds, including the M1. In fact, with so little changing on the XL+, it’ll be even more interesting to stack up the Korg offerings against Novation’s new keyboard, which is clearly taking a page (or ten) from the microKORG. The Novation already has some things the microKORG line (including the XL+) lack: a front-panel, dedicated knob filter and arpeggiator controls are clearly nice, and we’ll be interested to try these other control presets. Novation’s entry is also cheaper. But for people who want something new, I imagine this will come as a disappointment. (I’ll retract that if it turns out there’s “one more thing” from Korg later today.) That’s already the reaction I’m reading in comment threads and the like online, particularly after a (possibly-fake?) Korg monotron-with-keyboard made the rumor rounds.